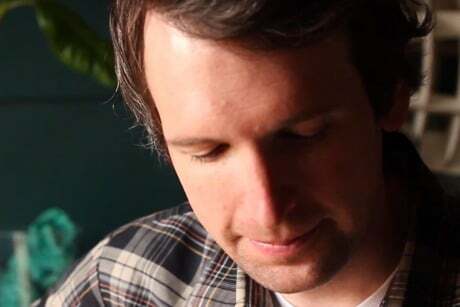 Part of the appeal of a Shotgun Jimmie show is that you're bound to relate to something the Brandon, Manitoba troubadour has to say. Shotgun Jimmie's buzzy indie rock is rooted in the everyday and the mundane — whether it's fondly reminiscing about high school crushes, name-checking favourite bands, or complaining about airplane travel — shot through with enough wit and geeky charm to not make a those subjects total bore. So although Shotgun Jimmie was stuck with an early evening slot at Ness Creek — fans were content, mostly, to remain sutured to their blankets and lawn chairs — that didn't stop him from delivering the sardonic goods. "King of Kreuzberg," all about the nuances of travelling abroad, got the crowd smiling and nodding along early on, and tracks like "Suzy" (the name of that aforementioned crush) and a "world debut" of an unnamed song paying homage to the Constantines kept the mood fun and carefree. A solid show to kick off a long night in northern Saskatchewan.